I frequently commute via bike to my job…it’s only a 3 mile trip, so there isn’t really a good excuse not to ride to work! Because North Table Mesa sits between my house and work destination, sometimes I’ll take the dirt around the base of the mesa. When I opt for this route, I usually select either my mountain or cyclocross bike. Most days, however, I ride my road bike in the hopes that I’ll have the opportunity to tack on some additional mileage to my commute. I’ve written in other blog posts about how I like to be prepared for the unexpected when I ride. 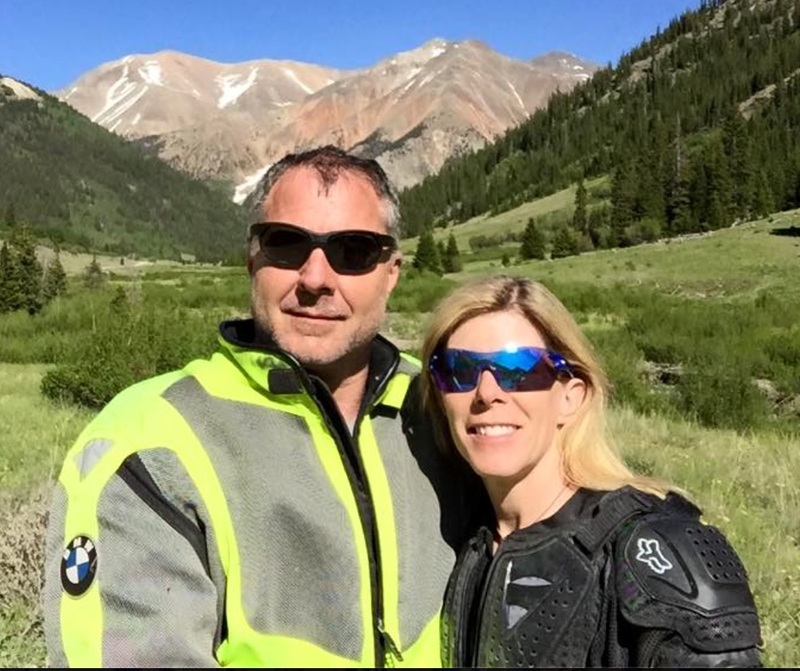 However, I found myself dreadfully unprepared last week when my phone rang and my husband informed me that he was on his way to the Emergency Room at St. Anthony’s Hospital. Maybe I should clarify… I was prepared to fix a flat tire, or to use the multi-tool I keep in the pouch under my saddle to adjust something, or to ride for 40 miles if the opportunity presented itself. I was not prepared to go to an ER. Where would I put my bike, especially since I didn’t have a lock with me? Would it take longer to ride there than to pedal home, get the car, and turn around and drive right past where I was sitting to get to the hospital? The biggest question of all was whether Motoman was experiencing a blood clot in his lungs and if so, could I get there in time? My mind was racing with questions. I quickly used google maps to find a bicycling route from where I was to the hospital where Motoman was going. Fortunately for me, I had chosen to ride the road bike on this day. I knew my way through Golden by bike just fine, but riding through Lakewood was completely new to me. I got a general idea of the way I wanted to go and good ole Google was showing it would take me an hour to ride there. I was confident that on this occasion, Google was wrong. I stuffed my crocs in my backpack so I’d have something besides cycling shoes to wear when I arrived at the ER, strapped on my shoes and helmet, and pedaled away. I arrived at St. Anthony’s ER 42 minutes later. Security was kind enough to watch over my bike for the few minutes it took to track down Motoman and get the key to the car he’d driven to the ER. I’m sure they would have held onto the bike indefinitely, but I’ve never trusted complete strangers with any of my babies. I locked the bike in the car and spent the next couple of hours with Motoman. He was later discharged with a diagnosis of Atelectasis – a complication of the surgery he’d had two days before. Since that day, I’ve toyed with the idea of carrying with me a locking cable no matter what kind of ride I’m taking – leisure or commute. But the reality is that I’m not sure I want to be prepared for a trip to the ER. So for now, the lock will stay in the garage until my next commute to the grocery store. 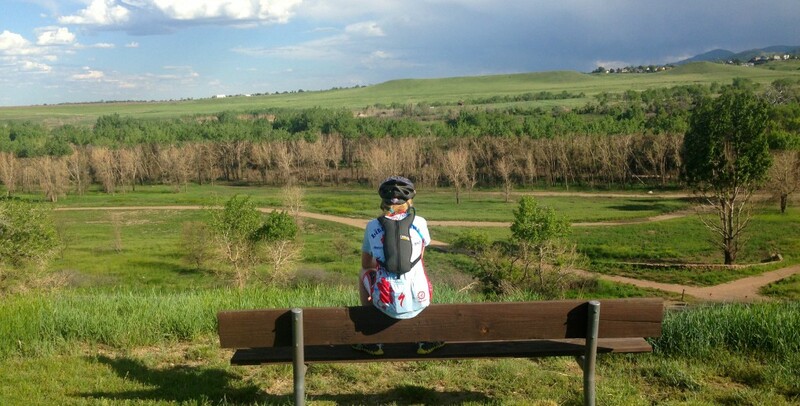 This entry was posted in Bike Gear, Inspirational and tagged bike commuting, bikes, biking, Cannondale supersix evo, Colorado, family, inspiration, LCI, League of American Bicyclists, women bike, women cycling. Bookmark the permalink. ← Handlebars, headsets, and tunnels. Oh my!